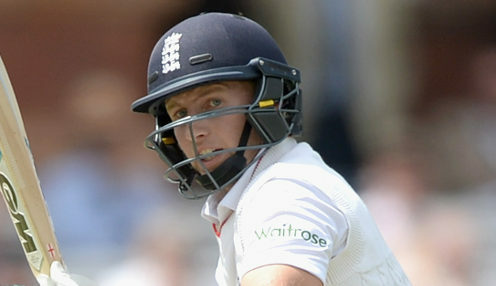 England captain Joe Root is looking for the Test team to become more consistent following the 4-1 series win against India. Root was speaking after the 118-run fifth Test win at The Oval, which wrapped up a comprehensive series win and first since their home victory against the West Indies last summer. I do think we have shown a lot of improvement this summer. When we have had tough days and tough games, we have responded extremely well to that. In the past 12 months, England lost the Ashes 4-0 in Australia, lost a series in New Zealand and were held to a draw on home soil against Pakistan. The India win shows that the home form appears strong, but Root is now looking for the players to maintain the momentum from that series win in their winter tour of Sri Lanka, which gets under way at the Galle International Stadium on 6th November. A series in West Indies takes place in early 2019 and then the Ashes returns to English soil next summer. And Root, who wants the Test side to follow the example set by by the impressive 50 overs team, said: "I think we are on an upwards curve. I do think we have shown a lot of improvement this summer. When we have had tough days and tough games, we have responded extremely well to that. "We are going to have some difficult challenges ahead. This winter is going to pose a lot of different challenges to play in these conditions but that presents a great opportunity for us to show growth as a team and show consistency, like the one-day group have. "That's a great benchmark - the way they have grown, moulded and improved over time. It's the chance for us to do the same thing now." England are 4/5 to win the Ashes next summer, while Australia are priced at 7/4 and the draw is 5/1.